Discipline and Desire examines how surveillance technologies, when placed within the frames of theater and performance, can be used to critique and reimagine the politics of surveillance in everyday life. The book explores how rapidly proliferating surveillance technologies, including drones, CCTV cameras, GPS tracking systems, medical surveillance equipment, and facial recognition software, can be repurposed through performance to become technologies of ethical witnessing, critique, and action. While the subject of surveillance continues to provoke fascination and debate in mainstream media and academia, opportunities to critically reflect upon and, more importantly, to imagine alternative, creative responses to living in a rapidly expanding surveillance society have been harder to find. 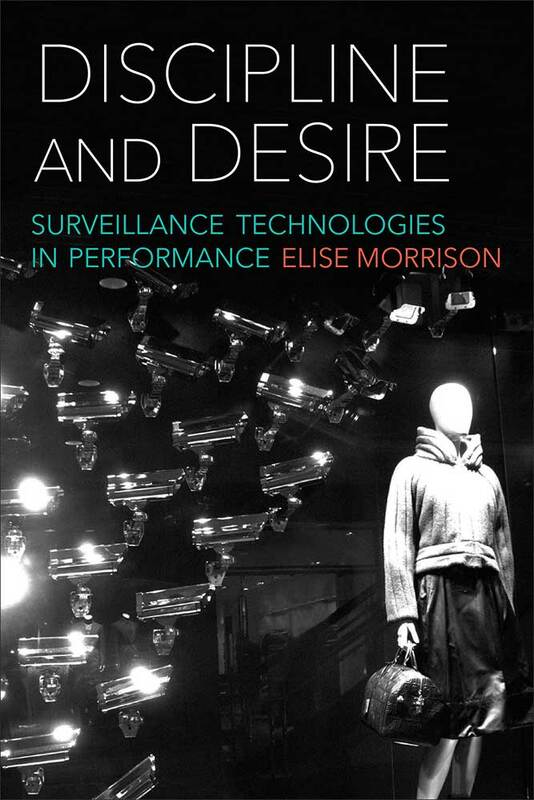 Author Elise Morrison argues that such opportunities are being created through the growing genre of “surveillance art and performance,” defined as works that centrally employ technologies and techniques of surveillance to create theater, installation, and performance art. Introducing readers to a broad range of surveillance art works, including the work of artists and activists such as Surveillance Camera Players, Jill Magid, Steve Mann, Hasan Elahi, Wafaa Bilal, Blast Theory, Electronic Disturbance Theater, George Brant, Janet Cardiff, Mona Hatoum, and Zach Blas, Discipline and Desire provides a practical and analytical framework that can aid the diverse pursuits of new media-arts practitioners, performance scholars, activists, and hobbyists interested in critical and creative uses of surveillance technologies. Elise Morrison is Assistant Professor of Performance Studies at Texas A&M University. "Not only will Discipline and Desire be useful for students of theatre and performance studies but it is also a welcome addition to the scholarship on digital theatre and performance as well as (new) media. Morrison guides us clearly through her moments of spectatorship yet leaves us with more questions than answers. She also eminently sets up conceptual frames that help us categorize and understand the performances. As such, the book can be a useful tool in the classroom where it would quickly spur many conversations both about the methodologies used and the role of spectatorship."